INDIAN BENCHMARKS are likely to open on a cautious note as the SGX Nifty is trading 15 points lower. Sun TV tanks 25% as MHA denies security clearance. Wockhardt drops on recalling 2 drugs in US. Trend in FII flows: The FIIs were net sellers of Rs -749.12 Cr in the cash segment on Monday while the DIIs were net buyers of Rs 529.82 Cr, as per the provisional figures released by the NSE. In Friday nifty sensex closed, mid noon nifty hits to 7800 but after last session of trade nifty slip and move to 7779 value in closing time, Nifty closed at 7779.70 value move up to 31.50 point with 0.41 percentage and Sensex closed at 26108.53 value move up to 109.19 point with 0.42 percentage. About 33 shares have advanced, 17 shares have declined and zero shares have unchanged. Zee entertainment climbed nearly 4 percent. Top gainers is Zee entertainment, HDFC Bank, ICICI Bank, M&M, BHEL, CIPLA. Top losers is TCS, HCL Technologies, Jindal Steel, Hindalco, Tata Motors, Tech Mahindra. We are giving a offer as "Buy 1 Get 1 Free Offer" in Diwali festival to our customer from 10 October to 19 October 2014. So hurry up and join us for better opportunity. Market move on lackluster by Haryana and Maharashtra assembly election results in this weekend. Nifty moving on 7800 slowly, Nifty move down to 25.40 point at 7773.60 and Sensex move down to 86.86 point at 26086.00 value. About 37 shares have advanced, 12 shares have declined and 1 shares have unchanged. ICICI, Bharti Airtel in a lead gainers. Top gainers is Zee Entertainment, M&M, BHEL, ICICI Bank, Bharti Airtel, SBI. Top losers is HCL Technologies, TCS, DLF, Tata Motors, Jindal Steel, ONGC. 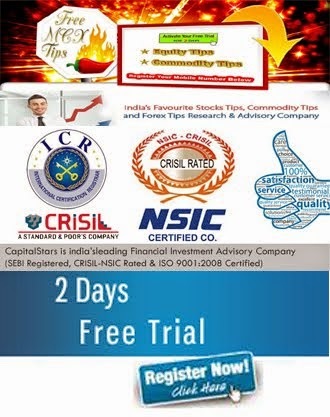 We are presenting offer as Buy 1 Get 1 Free offer in Diwali festival those traders trade in equity and commodity market so hurry up and join us for better opportunity. Market move on flat note, Nifty move down to 5.25 point at 7742.95 and Sensex move down to 27.65 point at 25971.69. "Cyclical equities in developed markets are under performing, but the flat performance of our China growth cyclicals basket suggests that growth concerns were discounted earlier". About 28 shares have advanced, 22 shares have declined and zero shares have unchanged. Top gainers is M&m, Zee Entertainment, BHEL, Bharti Airtel, Asian Paint, ITC. Top losers is HCL Technologies, TCS, DLF, Jindal Steel, Tata Motors, Hindalco. We are giving a offer in all segment as "Buy 1 Get 1 Free Offer" to our customer in Diwali festival, so hurry up and join us for better opportunity. In Friday nifty sensex opened in a positive mode, Yesterday nifty closed down in 100 more point. Nifty opened at 7733.75 and Sensex opened at 25950.00 value. 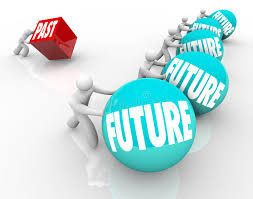 Researcher said today market move on a good for the investor. The Indian rupee has opened higher by 15 paise at 61.68 a dollar on Friday compared to previous day's closing value of 61.83 a dollar. TCS tanked 7.41 percent on profit booking and lower than expected revenue numbers in the quarter ended September 2014. HCL Technologies crashed over 6 percent after its revenue missed expectations. Tech Mahindra was down 4.53 percent. Top gainers is Zee Entertainment, BHEL, ITC, Bharti Airtel, ICICI Bank. Top losers is TCS, HCL Technologies, Jindal Steel, Hindalco, DLF, Wipro. Top gainers is DLF, GAIL, ITC, BPCL, Coal India, NMDC. Top losers is Hindalco, M&M, Tata Steel, Tata Power, HCL Technologies, Asian Paint. We are giving offer in all segment as "Buy 1 Get 1 Free Offer" to Our Customer in Diwali festival, so hurry up and join with us for better opportunity. 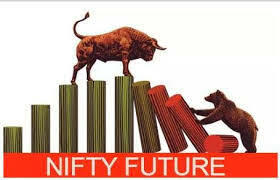 In Thursday nifty breaks the level of 7750 and moving on 7700 level, after mid noon nifty sensex under pressure. Nifty move down to 116.80 point at 7747.20 and Sensex move down to 400.76 point at 25948.57. Our researcher said before end of market nifty will close to 100 more point. About 7 shares have advanced, 43 shares have declined and 0 shares have unchanged. Top gainers is DLF, ITC, BPCL, Coal India, GAIL. Top losers is Hindalco, Jindal Steel, M&M, Tata Power, Tech Mahindra. We are providing offer in Diwali festival as "Buy 1 Get 1 Free Offer" in all segment so hurry up and join with us for better opportunity. Nifty sensex is an amid pressure in morning session, nifty opened at flat note and now is an under pressure, Hindalco and sesa falls to 2%. Nifty move down to 3.30 points at 7860.70 and Sensex move down to 5.23 point at 26344.10. About 26 shares have advanced, 24 shares have declined and zero shares have unchanged. Pharmaceutical board director had approved on 7th October special dividend of 105 Rs per Equity share of Rs 10 to each shares holders and also said special dividend will be paid after 22 October. Top gainers is DLF, BPCL, TCS, GAIL, Coal India, ITC, Hero Motocorp, Sun Pharma. Top losers is Hindalco, Tata Power, M&M, HCL Technologies, Asian Paint, Jindal Steel. In Thursday market opened flat note, Nifty opened at 7837.30 point and Sensex opened at 26260.35 value. 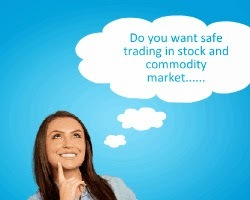 Currently nifty move up to 23.45 point at 7887.45 and sensex move up to 77.32 point at 26426.65. About 31 shares have advanced, 19 shares have declined and zero shares have unchanged. Today TCS and Hero MotoCorp gain and Bajaj Auto falls. Top gainers is DLF, Tata Motors, TCS, GAIL, Hero Motocorp, Tata Steel, Infosys. Top losers is Hindalco, Tata Powers, Reliance, Bajaj Auto, Sesa Sterlite Limited, ONGC. Market closed in a under pressure on Tuesday ahead of two state election. Nifty Sensex closed in a down side, Nifty move down to 20.25 point at 7864.00 and Sensex move down to 34.74 point at 26349.33 value. About 23 shares have advanced, 26 shares have declined and 1 shares have unchanged. Top gainers is BHEL, Axis Bank, Tata Power, SBI, Bharti Airtel, Coal India, Bajaj Auto. top losers is DLF, BPCL, HCL Technologies, Tata Motors, Asian Paint, HDFC. Nifty hover around at 7850 like as 10 point move up to 10 point move to down, Nifty move down to 32.15 point at 7850.15 and Sensex move down to 85.90 point at 26298.17 value. About 22 shares have advanced, 28 shares have declined and zero shares have unchanged. Researcher said market move on a profitable in diwali times. Top gainers is BHEL, SBI, Axis Bank, Bharti Airtel, CIPLA, Tata Power, GAIL. Top losers is Jindal Steel, DLF, HDFC, HCL Technologies, NMDC, ITC. In Tuesday, nifty moved on struggle mode, struggle at 7900 value and sensex fully weak in morning session where as nifty, opened in positive value. Nifty move down to 45.35 point at 7838.90, Sensex move down to 130.81 point at 26253.26 value. About 17 shares have advanced, 32 shares have declined, and 1 shares have unchanged. Top gainers is Reliance, Sun Pharma, SBI, CIPLA, Tata Power, Bharti Airtel, BHEL. Top losers is DLF, Jindal Steel, Tata Steel, BPCL, HDFC, ICICI Bank. We provide offer as buy 1 get 1 free from 10 October to 19 October 2014 in all segment so hurry up and join with us offer limited. Buy 1 & Get 1 Free Offer In All Services !!! In this Diwali, We are making a best and loveli Diwali for an investor, investor invest a money in any segment without any fear because CapitalStars giving a bumper offer as " Buy 1 Get 1 Free " to all customer. We are providing offer to our customer in Diwali festival from 10 October to 19 October 2014 in all segment so hurry up and join us for better opportunity.